Jan Ruth effortlessly textures a meaty mesh of human endeavour, stirs in an aromatic mix of provocative depth and darkness, and sprinkles with wry humour: the perfect cocktail for the best kind of book hangover. Wild Water (part one) was no exception: captivating, effortless, rich, warm, beautifully drawn, say more than fifty reviewers. Could she do the same with part two Dark Water? `What more can I say about my editor? Some say he has the eyes of an owl and the body of a crow. (He’s already admitted to the droppings). He can edit any genre. He’s not only comfortable with freaky – such as double-jointed women in gingham – but he also has a handle on quite ordinary things like school puddings and little dogs. What I like about Mr Hudspith is that he personally hand-washes everything; there’s none of this short-cut business with preprogrammed software. He can cope with any kind of material, just check that care label out. He actually enjoys shrinking swathes of narrative such as short stories and blurbs. Hey, he shrunk my shorts but they’re a much better fit. Not only this, but his personal machine can vigorously rid a manuscript of the most stubborn stains, or it can tumble the softest silk into an even smoother ream. As for fluff, he openly admits to being especially obsessed with cleaning that particular filter till it’s sparkling. 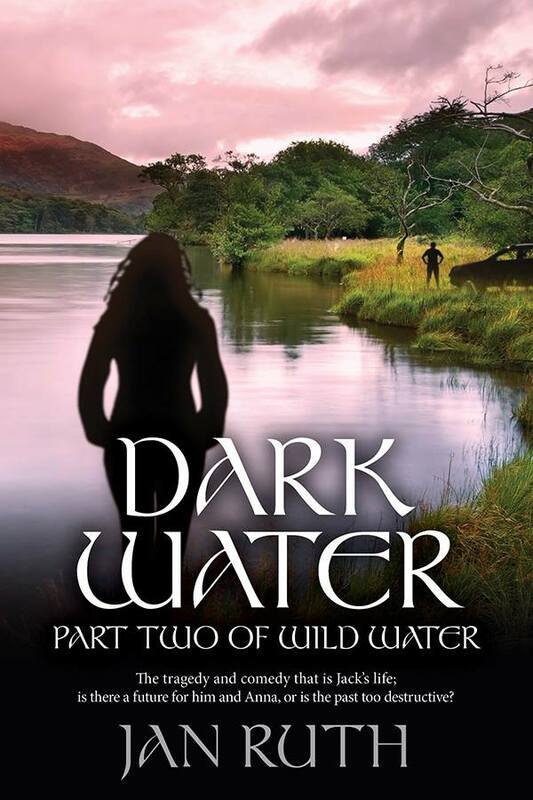 So, I had no hesitation in sending my sequel (Dark Water) for a pre-wash. I’ve never written a second part to a book before, but I could guess at several pitfalls. How much does the reader need reminding of? I knew if I added too much recollection (after all, who could forget Jack and Anna?) Johnny would have scrubbed it out instantly with his magic stick for stains. This is the fifth novel he’s fed through his mangle and I’ve enjoyed every step of the way. He read the labels, he scrutinised the blurb and the title, he advised on the cover image. A unique, all-round support system for Independent authors with extra strong pegs.